Henry Ford II’s impassioned drive to bring the company racing glory at Le Mans had a less than stellar beginning, but with four victories at the prestigious 24 hour race and plenty more impressive victories in races around the world, the Ford GT40 has certainly gone into the history books as one of the most significant and successful racing cars of them all. Almost every GT40 to have seen the tack has an enviable motorsports pedigree, but some are more important than others. The Le Mans-winning cars are probably the most celebrated, and one in particular has become a patriotic symbol, the representation of a great moment of American perseverance and ingenuity. One of the racing cars most closely associated with American racing legend Dan Gurney is the Ford Mark IV chassis J-5 that he and A.J. 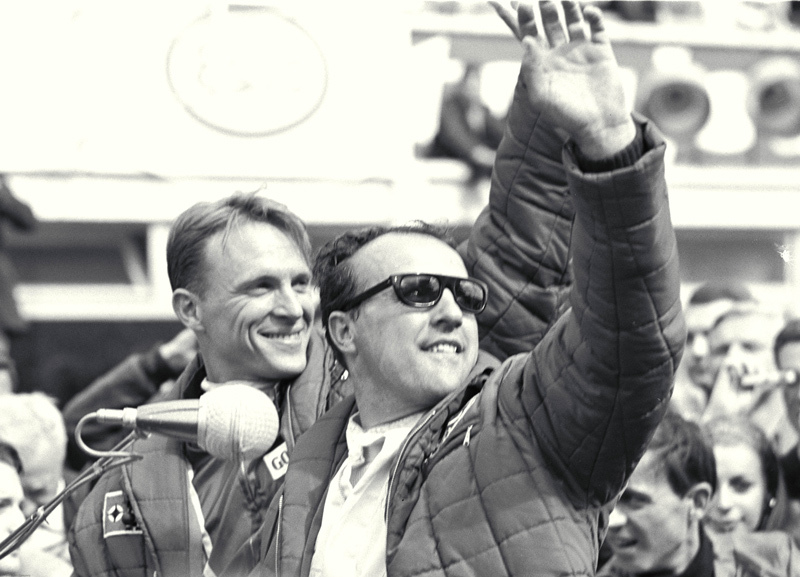 Foyt took to a historic victory at the 1967 24 Hours of Le Mans. Gurney will get a chance to become even more familiar with the car he helped make famous when his All-American Racers shop in California takes possession of the car and the responsibility for its conservation on behalf of The Henry Ford Museum in Dearborn. 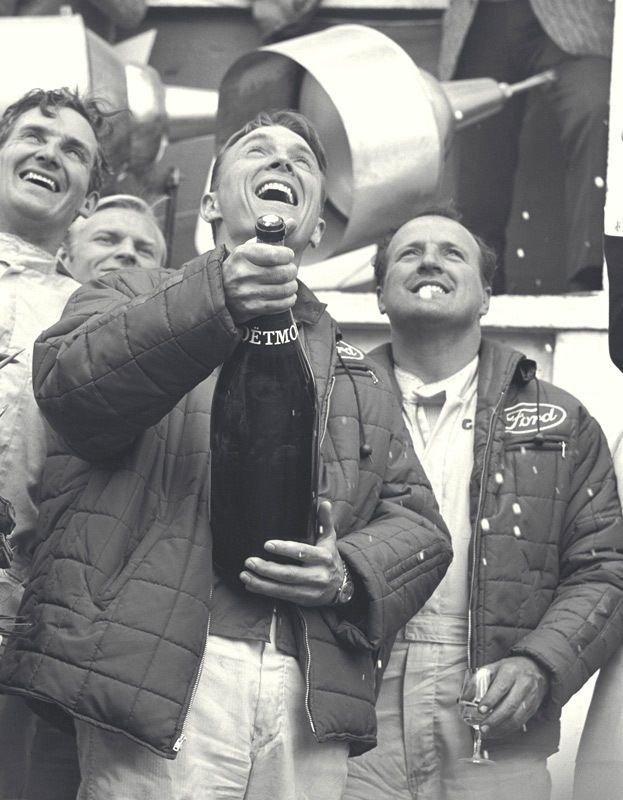 Gurney and Foyt teamed with car owner Carroll Shelby to run the Mark IV at Le Mans. 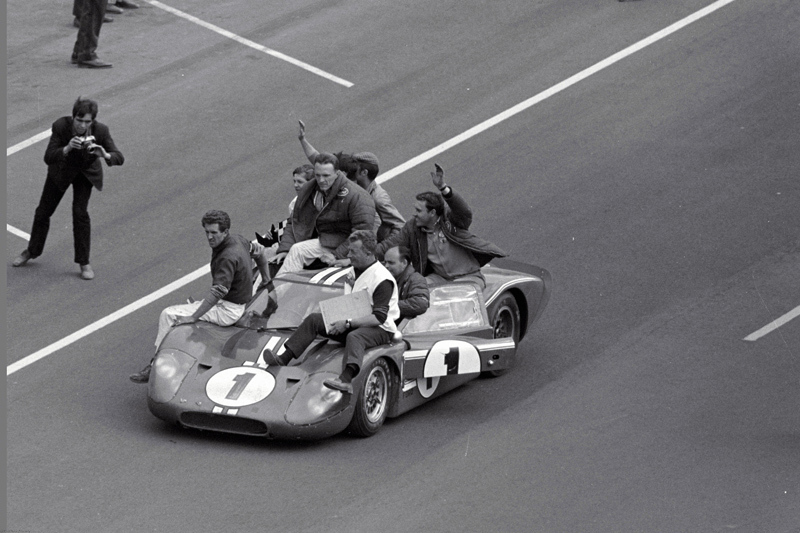 Their victory in 1967 remains the only time an All-American built car (built by Kar Kraft), powered by an American engine, driven by American drivers and fielded by an American team has won Le Mans overall. Justin Gurney was in Dearborn recently to see the chassis J-5 historic racer, and it will soon be on its way to California to start the project. The Mark IV recently returned from Europe, where it was on display for several events last year marking the 45th anniversary of the Le Mans win. While in transport, the car sustained some minor damage, which will of course be repaired during the conservation. The famous red No. 1 car, powered by a 7.0-liter Ford V8 engine, was specifically designed for endurance racing. It had a NASCAR-style roll cage around honeycomb panel construction. It was one of only six Mark IV’s built for competition, and this one featured what became known as the “Gurney Bubble”, a small dome on the roof of the low-slung car to accommodate the head and helmet of Dan Gurney, an unusually tall racing driver at 6’3”. The car was known to hit approximately 220 mph on the Mulsanne Straight at Le Mans, an incredible speed even by today’s standards. 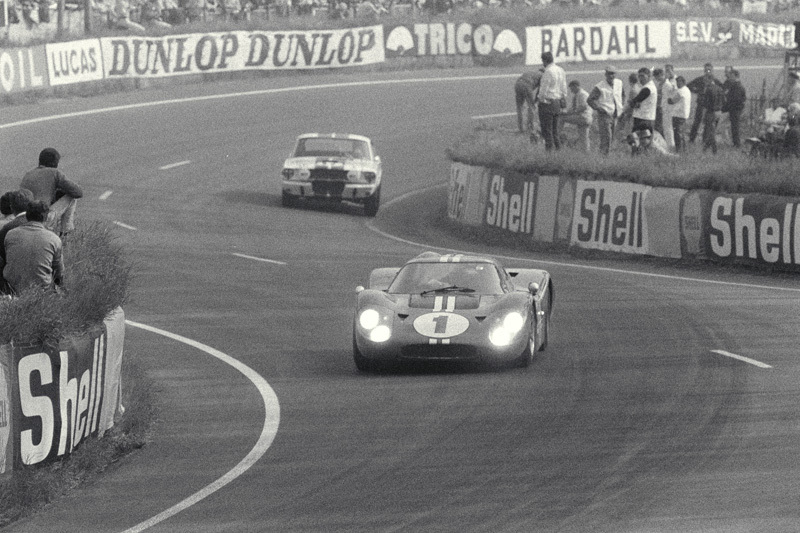 During the race, Gurney and Foyt first took the lead 90 minutes in, and by the end of 24 hours were ahead by four laps. The Ford will be the second major conservation project in recent years of a historic race car from Henry Ford Museum’s “Racing in America” collection. The Lotus Ford 38/1 Indy car that Jim Clark drove to victory in the 1965 Indianapolis 500 recently went to Classic Team Lotus in England, led by Colin Chapman’s son, Clive. The first rear-engine car to ever win the 500-mile race, Clark’s Lotus 38 is widely considered one of the most significant Indy cars in history. After its conservation through Classic Team Lotus, the car debuted at the 2010 Goodwood Festival of Speed before returning to Indianapolis in September 2010 for a demonstration run by three-time 500 winner Dario Franchitti. The Lotus 38/1 is now on display at Henry Ford Museum. Like the Lotus, the All American Racers Ford is a fairly unique case of a truly great car that is, in some ways, returning home for a time. Preserving cars like this that truly are icons and retaining their connection to the past is an important mission, and keeping the Ford’s historical integrity is, in this case, a top priority. For more information about the conservation of the Mark IV race car, visit www.racinginamerica.com. Wonderful story and video clip. Preservation of such an historic car was the right decision. To restore it to showroom new condition would have wiped away too much history.